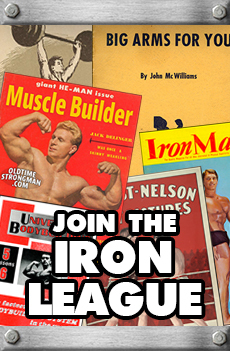 Now you too can learn about the life and training secrets of one of the strongest men who ever walked the Earth! Every once in a while, a man comes along who possesses a level of strength that is simply head and shoulders above everyone else out there ~ and Hermann Goerner was just such a man! Goerner’s strength and power was the stuff of legend, and even nearly a century after his time, no one has ever been close to many of his records. 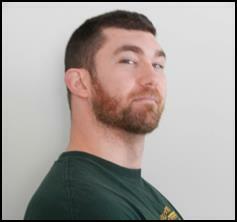 His most famous lift is likely his ONE-HAND deadlift of 727 pounds(! ), but some of his other marks were equally impressive. These include a strict curl of 242 pounds, a deadlift of 505 pounds with just two fingers of each hand and a plank “leg press” with 24 people which totaled over two tons. 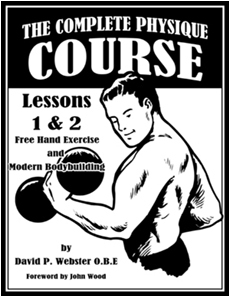 Goerner even had a “Challenge weight” a 2-3/8ths inch thick-handled globe barbell which he could clean and jerk almost effortlessly which no one else could so much as budge. Goerner’s deadlifting ability was the stuff of legend … here he is in 1933, lifting nearly 600 lbs. with only two fingers of each hand! Goerner’s excellent “challenge” weight… Few strongmen could lift it in any capacity but Goerner did so with ease. Goerner used to wrestle with a 700 lb. baby elephant as part of his daily act in Pagel’s Circus, South Africa. 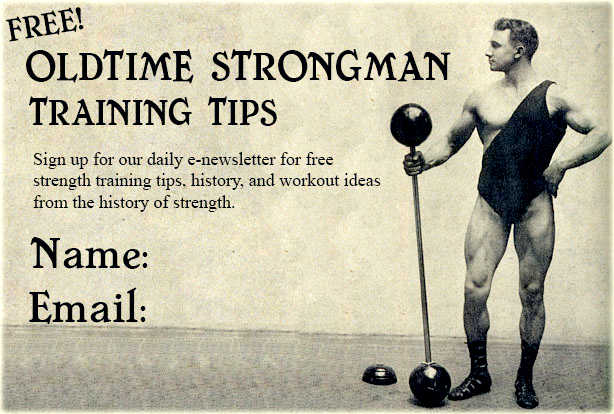 How Did a Genuine Oldtime Strength Legend REALLY Train? Now you Can Find out for sure! The modern reprint edition of “Goerner The Mighty” by Edgar Mueller is a 5″ x 7″ trade paperback, with full glossy cover, 136 pages in length consisting of eight chapters, the contents of which are listed above. There are also 32 rare photos and diagrams of Goerner and his exploits and training techniques as well as a full index. This modern reprint edition is nearly identical in every way to the original 1951 printing. Tromp Van Diggelen bent-presses a sack of mealies (a type of coarse corn flour) weighing 203 pounds (which was 20 pounds more than his body weight at the time.) Tromp was 53 years of age when this picture was taken, which makes the approximate date of this picture 1938. Of course, a 200+ pound bent-press would be an impressive lift at any age.